Embellished entirely by the flames of war, this cleaver style machete (or modern day sword) is built for the main purpose of chopping and cutting. 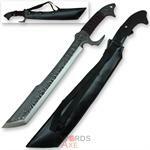 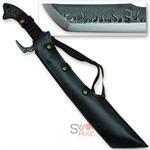 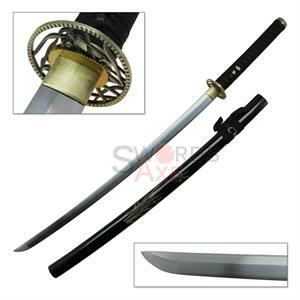 It has a 9mm blade thickness and a tanto type blade with the angled cutting edge. The blade, handle, tang, and guard are all one solid piece of forged carbon steel. 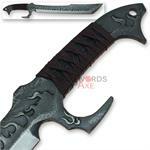 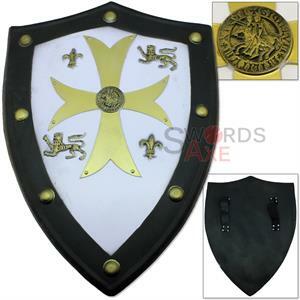 This sword started out as a cast iron steel block and was forged into a functional 1045 carbon steel war blade. The flame pattern is embossed as a part of the steel, it protrudes out from the side of the machete. 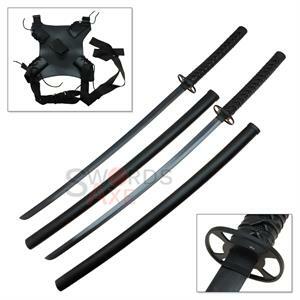 Comes with triple snapping sheath with back strap. 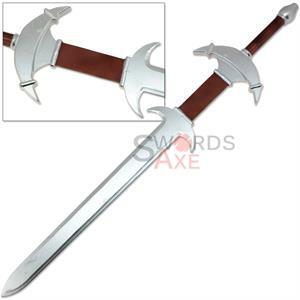 Barbarian Greatsword Wooden Medieval Replica Battle Worn Distressed Finish 44.75"